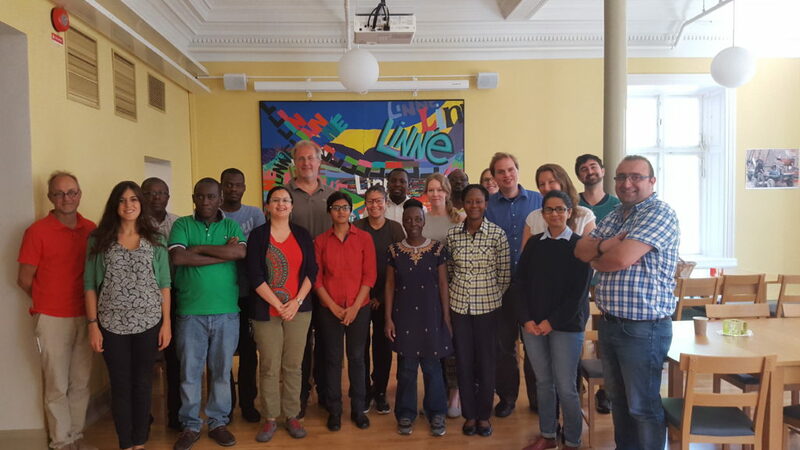 In August 29th – 31st, 2016, LUCSUS (Lund University Center for Sustainability Studies) hosted a 3-ECTS PhD course “Niches in Transition Arenas: Critical Perspectives” as a part of capacity building initiatives by the transition management working group of the T-GroUp project, in Lund, Sweden. 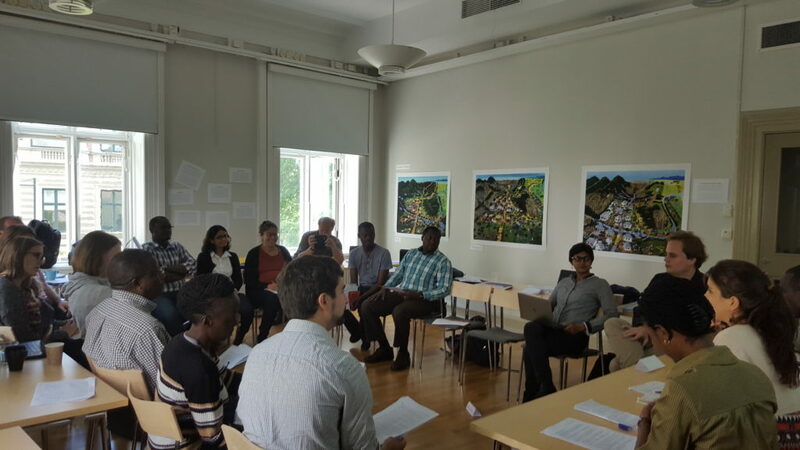 During three intensive days of lectures and seminar discussions, around 20 participants from Ghana, Uganda, Sweden, Netherlands, Finland and Norway were actively engaged in theoretical debates on concepts behind transition management approach, including limits of system thinking, politics of socio-technological niches and levels of participation. The highlight of the course, as expressed by the participants, was the role play: an exercise of simulating a transition arena wherein participants were assigned with different roles of actors whom should deal with water pollution issue in a given peri-urban area. The local transition teams from the T-GroUp project (from Kampala and Dodowa) took an active part in facilitating the simulated arena and discussed potential upcoming hurdles on the way of actual implementation of transition management in their cases in the future. The course was finished with a discussion on “a ladder of citizen participation” in transition arenas. The participants discussed the practical problems linked with participatory approaches in their research case studies. In addressing such issues, the role of facilitators and the techniques that they can use to address the conflict arising from diversity of actors’ interests and values was highlighted and discussed. I would like to thank all the participants for their active engagement in the course lectures and semianrs, especially the T-GroUp LTTs that came from Dodowa (Dr George Lutterodt) and from Kampala (Dr Robinah Kulabako, Prof Dr Frank Kansiime, Dr Philip Nyenje and Jennifer Isoke). Also, thanks Prof. Lennart Olsson, Prof. Frans Berkhout, Dr. Roel van Raak and Giorgia Silvestri for their time and engagement in teaching. ← To govern or not to govern?